"They obviously love each other." Some individuals just can't get enough love and affection — and they aren't afraid to ask for it. 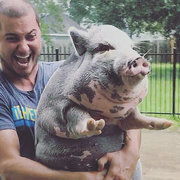 That's the case with Matilda, a pink and black pig who's totally unapologetic about her enthusiasm for being around others. 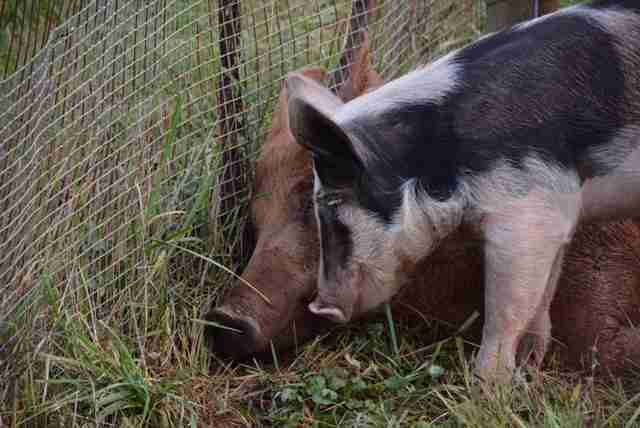 And luckily, Matilda has found a boar who is more than happy to put up with her. But that wasn't always the case. 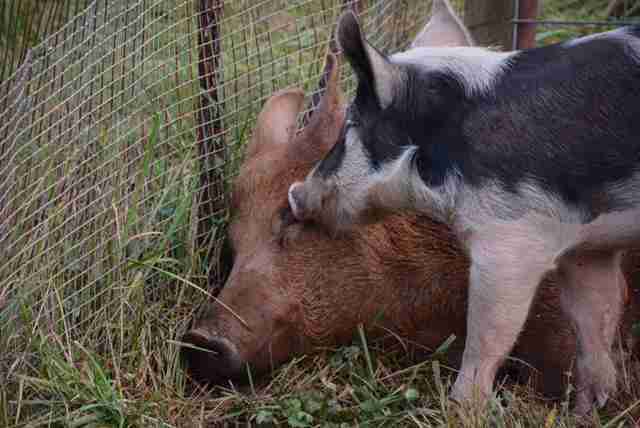 Matilda had been given up because the farmer raising her said she was simply "too clingy." 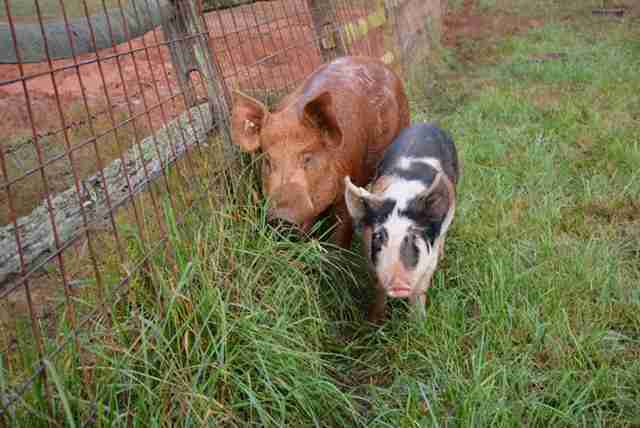 She was given away to Tusk and Bristle Sanctuary in upstate New York. Then one day someone came along whom Matilda was determined to befriend: Mr. T.
When a pig farm closed down, all of its pigs being raised for their meat were sold off and Mr. T was the last one left. The owner even considered shooting Mr. T when she couldn't find a buyer for him. Luckily, a neighbor took him — unluckily, the neighbor was planning to raise Mr. T for meat, too. 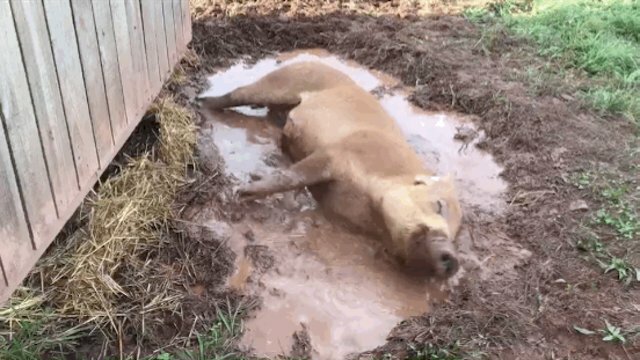 "He kept him in a mud-filled pen with no clean water, where his small amount of food was thrown into the muck and turned rancid," Terry Cummings, director of Poplar Spring Animal Sanctuary in Poolesville, Maryland, explained. "Despite living in these horrible conditions, Mr. T remained friendly and would come to the fence for pets and scratches whenever neighbor Ellen Crain visited him." Crain, director of Safe Haven Farm Sanctuary, brought Mr. T fresh water while she kept trying to convince Mr. T's new owner to spare his life. 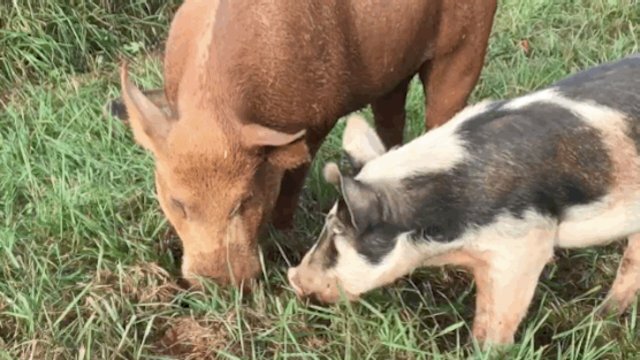 Eventually, she was persuasive enough to save Mr. T.
Mr. T went to Tusk and Bristle Sanctuary to be fostered until a permanent home could be found for him and that's where he met "too clingy" Matilda. "It was love at first sight," said Cummings, who gave the couple their permanent home at Poplar Spring. 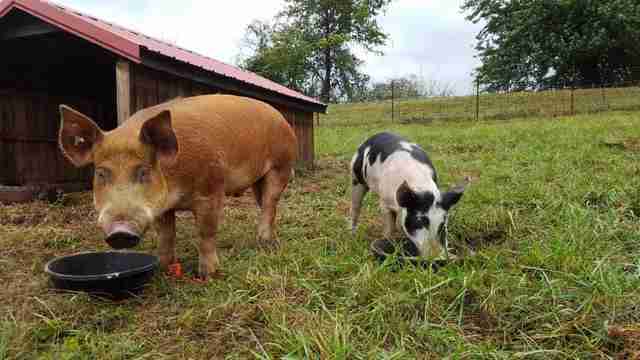 "We agreed to take Mr. T and Matilda, so that they could stay together forever." According to Cummings, the couple made themselves right at home when they arrived at the sanctuary after a seven-hour trip in a minivan. It was quite an ordeal getting Mr. T and Matilda the lives they deserve. But now the tumult is over and they can just enjoy the day-to-day. Mr. T has discovered his deep love for mud puddles. And clingy Matilda just can't get enough of staring at her beloved Mr. T while he eats dinner. All in all, Mr. T and Matilda make the perfect couple. 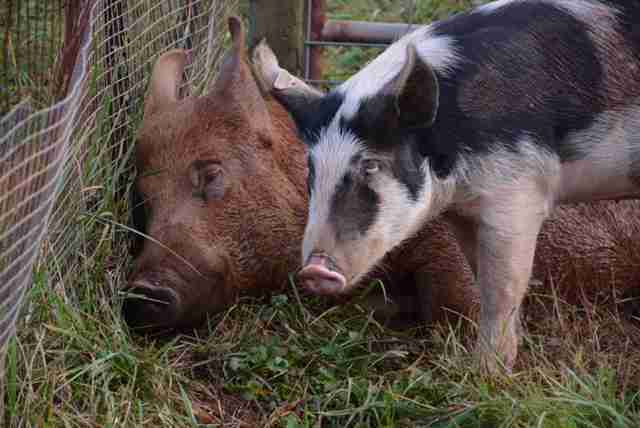 "They are such sweet piggies," Cummings told The Dodo, "and they obviously love each other." 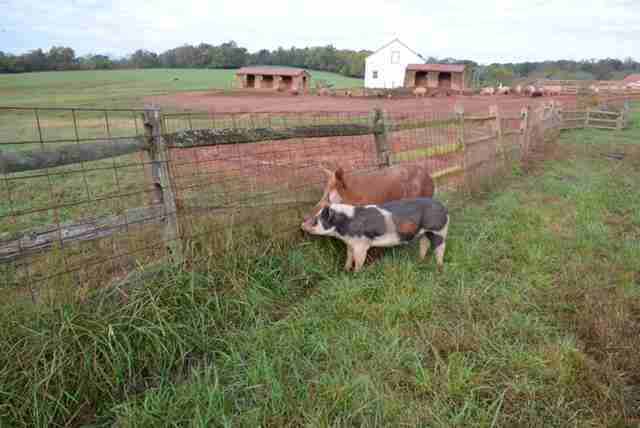 To congratulate Mr. T and Matilda on their new home, you can make a donation to Poplar Spring.